We’ve been waiting for you! It’s true. We believe that it is not by accident that you are here. God has brought you to us. Above all else we want to express Christ’s love to you with genuine, heartfelt warmth. We’re eager to know you and we’re excited to share with you the marvelous ways God is working. 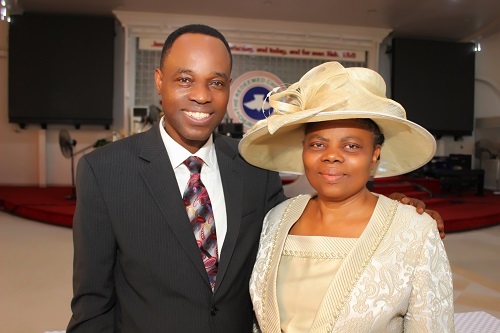 It won’t take you long to discover that the Redeemed Christian Church of God (RCCG) National Headquarters is truly a family, rich in the relationships that matter most. Growing spiritually together, we worship, we do service projects, we learn and we reach out to the world with life-transforming truth. Our doors are open, our hearts are open to you, no matter who you are. If you’ve been thinking, praying, searching and hoping for a place to belong, then RCCG National Headquarters is the place for you. If you come to us as a visitor, we hope that you’ll leave as a friend who’s been blessed by worshiping with us. We encourage you to join us.